Jung Hotel and Parking Garage — Morphy, Makofsky, Inc. 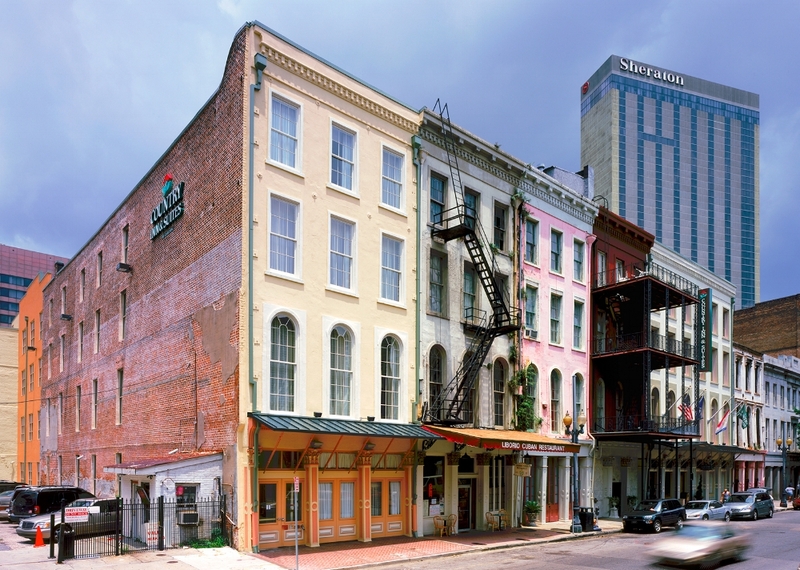 The Jung Hotel in New Orleans, Louisiana, has sat vacant for decades. 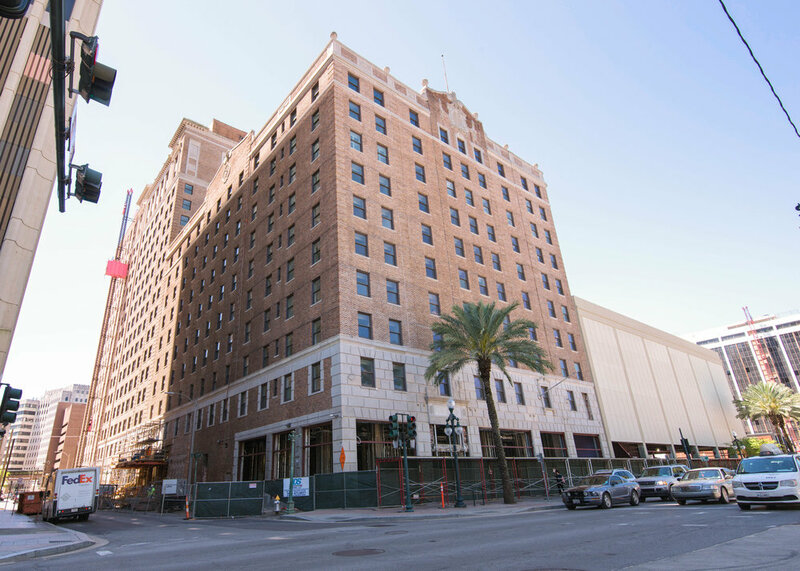 Due to the rise of the New Orleans medical corridor, it became time to renovate the historic structure into a multi-use hotel, condominium, and retail spaces. The renovation of the existing buildings was generally architectural in nature, though MMI did design new window and door openings in the existing exterior façade, new canopy support structure, and new pool and deck support at the roof top experiences. 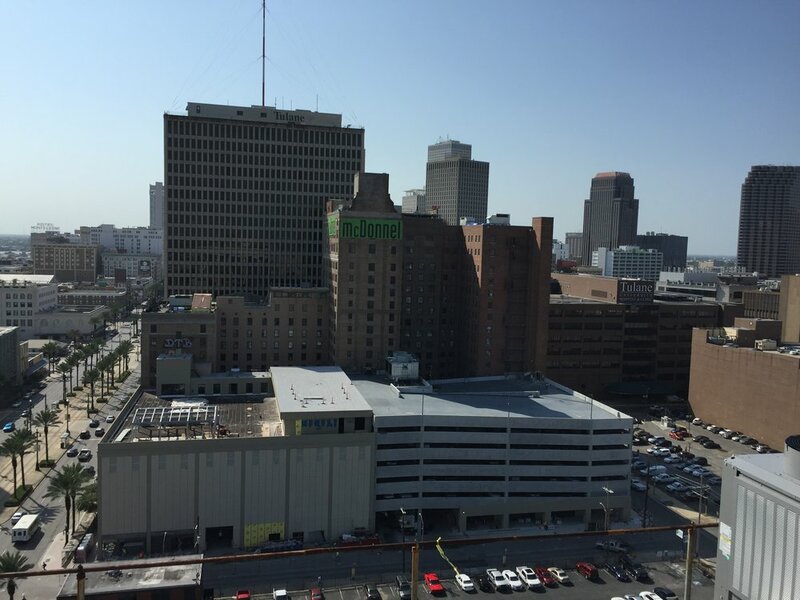 A portion of one of the existing buildings on the western corner of the site was demolished to make way for a new seven-story parking garage to service the new development, with retail and utility spaces on the first floor. The elevated structure is framed with precast concrete. MMI designed the structurally supported first floor framing at grade (grade beams and post tensioned slab), building foundations, grading, drainage, utilities, pavement, and site layout. The precast columns and shear walls are supported by 100 ton precast prestressed concrete piles grouped together in pile caps, whereas portions of the first floor are supported by single timber piles. In addition to the new garage, additional parking was planned for the existing second level ballroom and a new mezzanine above the ballroom, each with an area of approximately 22,500 square feet, in the existing ballroom building in the northern corner of the site. MMI designed reinforcements for the existing second level framing and the new composite steel beams framed mezzanine.